There have been a lot of changes in my work life since the fall. In October I left my stint as a Host/Producer for Vocalo.org to take a different job, still at Chicago Public Radio. Now I’m doing multimedia production to support our work with various “internal” audiences, like our board of directors and foundation funders. (As opposed to producing content for public consumption in our broadcast or on the web.) I’m pretty sure it’s a temporary gig, as I want to go back to producing story content asap, but I’m enjoying the work for now. I’m definitely enjoying my current project. I’m working on a series of video portraits of people who have been dedicated and impressive members of the Vocalo community. I’m trying to get a sense of who these people are, what their lives are like, and explore why they would want to be part of an experimental media community like the one we were trying to build. I’m starting with Bert Downing, the owner of Carter’s Barbershop in North Lawndale. North Lawndale is a historically black neighborhood on Chicago’s West Side, and was briefly home to Dr. King when he settled there to launch the northern campaign of the civil rights movement in the late ‘60s. When he was assassinated in 1968, residents of North Lawndale rioted, destroying much of the neighborhood’s business core and physical infrastructure. Common perception is that the neighborhood has never fully recovered from the riots – after the riots is a common refrain among older residents – although there have been efforts to redevelop the neighborhood, attract new businesses, and provide better access to basic services. A lot of what people will tell you about North Lawndale now are the stereotypes that apply to many urban ghettos (a word I’ve heard several people from North Lawndale use to describe their own neighborhood). Poverty. High rates of incarceration. Unemployment that is two or three times the national average, even when the economy is bad. But inside the barbershop I’ve seen something different: a strong, functioning community, talking with itself. I guess it’s a cliché that barbershops are where the “real talk” happens, but I’ve seen it and heard it there again and again. And Bert is the conversation impresario, calling his friends and telling them to get down there if they don’t want to miss out on the good talking, excited to turn his barbershop into a radio station for the day. 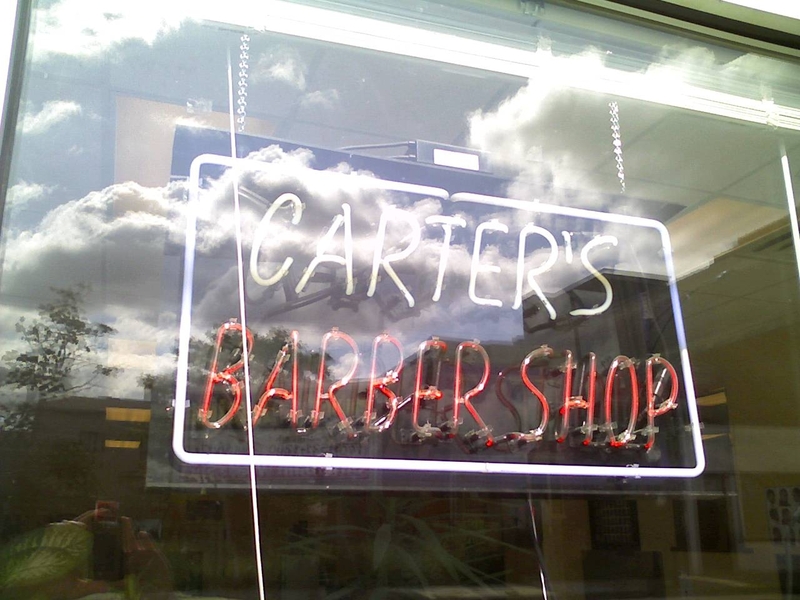 Here are some clips that came from the various live remote broadcasts we’ve staged at Carter’s Barbershop over the past two years. (We includes fellow producers Dan Weissmann and Luis Perez.) The first is Bert, describing an incident with a customer/cop that went down in the shop some years back. It’s called Get ‘Em! Or, You Picked the Wrong Barbershop and features probably my favorite Bert-ism of all time. See if you can guess what it is. This second clip comes from another live broadcast, and an interview with a patron named Mr. Heywood. It’s sad and funny at the same time. When three neighborhood teens drowned at a school retreat after sneaking out paddle boats in the middle of the night, we discussed who was at fault: the adults chaperoning the trip, or the teens themselves. The conversation turned into an in-depth discussion of parenting, with people, including Mr. Heywood, sharing stories of their own teen misadventures. This piece is called Mr. Heywood Climbs the Tracks. Intro read by Delaney Hall, music by Hauschka and Zoe Keating. Finally, here is some raw video of Kastaway from the shoot we did at the barbershop last week. Kastway is AWESOME!! 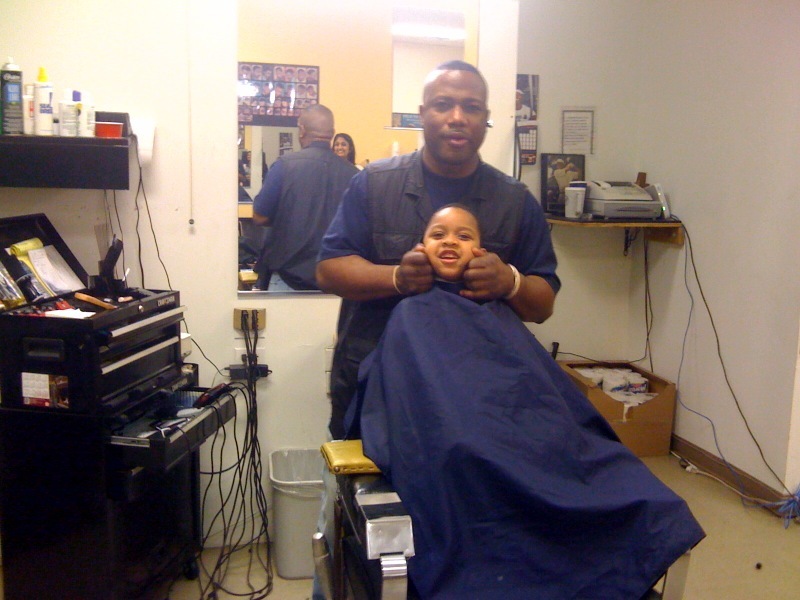 Carter, the original owner of the barbershop, was his mentor, so he basically grew up in the shop. He’s a super talented MC and one of the funniest people I know. I’m really glad to have an excuse to hang out with him again, because he’s really fun to talk to. He’s going to take me around the hood some time next week so I can get some contextualizing footage for the video piece. My favorite part of this video is where he describes Bert as “the uncle I never asked for.” Heehee! More updates on this project as it progresses!